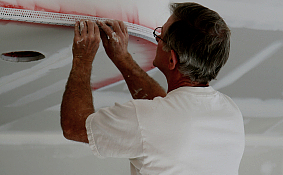 One drywall contractor will handle the entire process. But you may see three different work crews at the three different phases of the job. That’s ok. 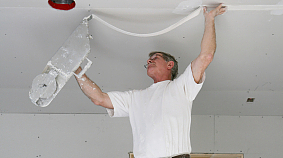 Your drywall subcontractor may himself subcontract parts of the job to others. mechanical entities that will be exposed through wall openings. These include plumbing pipes, light switches, heat & air vents, etc. ● Provide nails and screws for hanging the board. 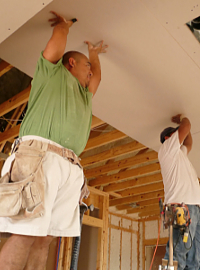 ● Provide all materials and labor for finishing the hung boards, including tape, corner beads, and mud (the white goo used to cover joints and nail heads). 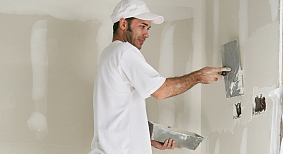 The finishing crew will spend three to four days mudding joints, corners, and nail holes.